WOW - your photos are absolutely amazing! Love the hedgehog. The picture of drumstick alliums is so beautiful! He is adorable! Great close-up photos, too. 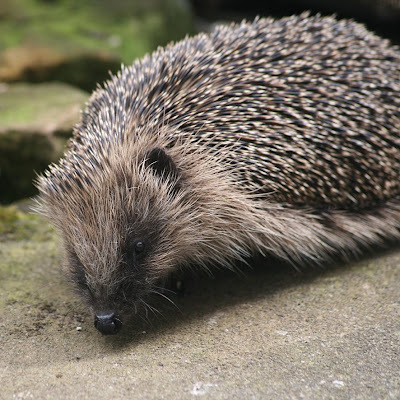 Great photos, it must be so great to see Hedgehogs so clearly in your garden. Just wondering, how far away were you from the hedgehog when you took those photos? Lovely Hog-pig picture! Does it have a name. My friend has one in his garden and has called it Spike! First thought - OMG, Shirley had a hedgehog for lunch! Really lovely photos of your visiting hog Shirl. 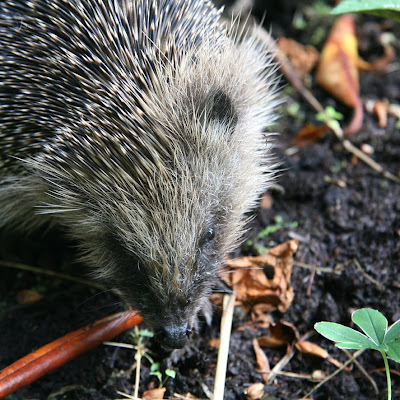 Are you using a special Hedgehog food mix? 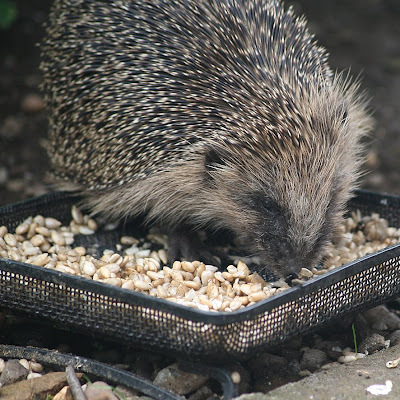 I am trying some out though I am adding extra dried mealworms as they are used to them here and they usually get scoffed first! What great photos of our nocturnal friends. I hope it wasn't under duress since it was out during the day to feed. Can't really say Hedgehogs are cute...I'm guessing they're entertaining backyard friends. Nibble, nibble, nibble, burp, beg pardon, nibble, nibble, nibble, scrunch. Today there's Bliss on the menu if you're peckish. Beautiful photos! You know how I love hogs - these pics are fantastic.